Alright... Hands up who's got a QL..! So, reading this forum and a few others, I see some usernames that pop up in several places. 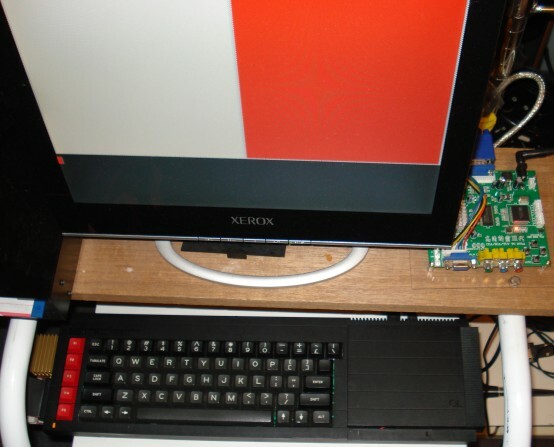 My latest wheeze is to buy and use a Sinclair QL, so I joined a forum. I saw familiar names there so I guess that some Acorn fans also have QLs. I wonder who they are...? Care to 'fess up? Don't worry, I won't tell anyone..
Re: Alright... Hands up who's got a QL..! Last edited by Slo on Wed Apr 17, 2013 8:58 pm, edited 1 time in total. jonb wrote: So, reading this forum and a few others, I see some usernames that pop up in several places. My latest wheeze is to buy and use a Sinclair QL, so I joined a forum. I saw familiar names there so I guess that some Acorn fans also have QLs. I have two, my original one a Samsung manufactured machine with a German keyboard. I replaced the MGG roms perty early on with JM roms. This machine was actually pretty stable, and was my main machine for my last year of college, first year of University. Of course I had a floppy drive for it which was better than the microdrives, and later on an Expanderam to bring it up to 640K. Being a Samsung machine this one has 9 pin connectors for it's serial and joystick ports. Later on I bought another machine, though this time a british one, so it has the silly BT phone like connectors for serial & joystick. Later on I bought a Trump card, so both machines now have disk capability and lots of memory One of them has had it's roms replaced with a copy of Minerva (on a little carrier board). Good machine for what it is with a pretty decent version of Basic, you can do neat things like write a procedure DoSomething(param, param) and call it from direct mode as DoSomething(10,20) using the same syntax as you would do if it where a built in command. I've got a couple as well. One with a 512kb Ram card + Cumana disk interface and the other with a GoldGard + Minerva roms. Both machines are suffering from dodgy miicrodrives but at least with the floppies I can still give them a bit of use every now and again - but not as much as I would like. fatbob_gb wrote: I've got a couple as well. GoldCard nice, at least you can use 1.44MB floppys with that, if you can ever get your hands on an ED drive that'll do 3.2MB / disk, not bad for a floppy. Does anyone fancy telling me what they see here? Taken with a composite video cable. I get a much better image with the RGB cable that I now use. I got one plus a Cumana floppy drive interface and a twin floppy drive unit. I also have tons of games on floppies. Unfortunately, my microdrive cartridges are getting damaged by the day. Last edited by Garrettimus on Thu Apr 18, 2013 10:10 am, edited 2 times in total. I am seeking a disk interface, extra RAM and a Minerva upgrade... anyone got spares? That keyboard is a schon replacement for the original and they came in a standard QL case with the keyboard bit removed. vanpeebles wrote: That keyboard is a schon replacement for the original and they came in a standard QL case with the keyboard bit removed. Haha I never noticed that before! At the risk that I may be broaching a controversial topic … what's the status of software preservation efforts for the QL? You'd have to ask a QUANTA member... I think most of it is there, but (as I am finding out) you need a disk interface to get them onto the QL. I'm currently experimenting with serial transfers, though I honestly do not hold out much hope.. it's not going well at the moment. Preservation is pretty much none exsistant at the moment which is a big shame. There are some really superb programs that seem lost to time Still it's a drum I keep banging. Of course VP you're the admin on qlforum are you not? What's on the missing list, anything useful? PS What's that keyboard??? A Schon you say? Heretic!! I also have a QL, microdrive cartridges and manual. Unfortunately it came without a PSU! Recently I managed to obtain the correct PSU. The previous owner had cut the strange chamfered plug off to use it with another item. I will either find the correct plug/lead or wire it directly to the PCB.